Tucked away in the Savoie region of south-eastern France, Courchevel is a sought-out French alpine village that infuses glamour with skiing during the winter season. Known for its Trois Vallées (three valleys), Courchevel is comprised of four different altitudes and divided into the villages of Courchevel 1300, 1550, 1650, and 1850-the highest and most famous resort village with world-class shopping and luxe après skiing activities. 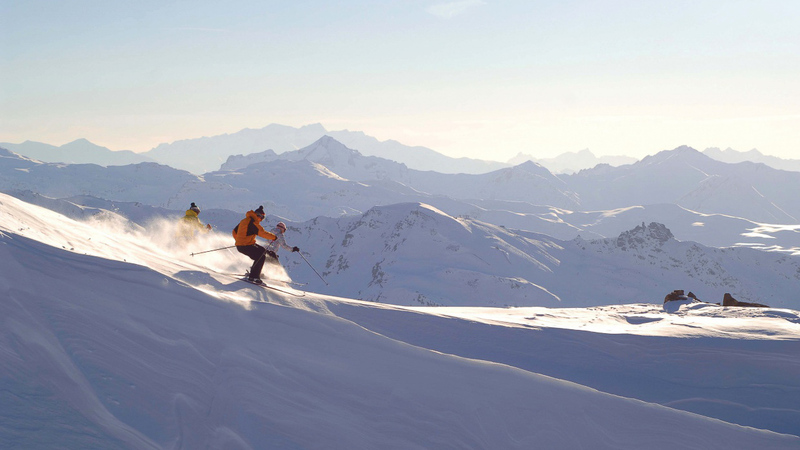 It is the largest linked ski resort in the world with access to approximately 375 miles of groomed slopes and off-piste runs with breathtaking views across to Mt. Blanc. 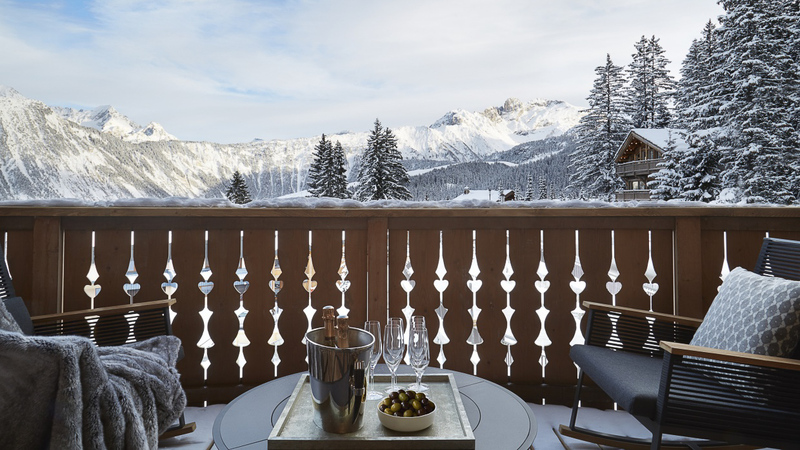 Set in the heart of Courchevel 1850, The Six Senses Residences Courchevel draws inspiration from its peaceful surroundings with contemporary interiors and subtle touches of cozy traditional Alpine living. Elevating the connection to nature and wellness, guests can start the day at the Club Lounge for a healthy breakfast before heading to the slopes where the Six Senses Ski Concierge awaits at the private ski lodge to prepare guests’ skis for the next run. After an exhilarating day on the slopes, Six Senses Spa is an oasis to rebalance with customized treatments such as the Arnica and Ginger Hot Oil Massage or rejuvenate sore muscles at the sauna, steam room or with the Kneipp footbath therapy. Guests can also enjoy an indoor swimming pool, an outdoor hot tub, a fully-equipped fitness center and a studio for wellness classes plus a juice bar and mani-pedi station. Combining the Six Senses brand’s ethos, a sumptuous Six Senses Spa, and the ease of a 24-hour Concierge, it is a serene haven for all senses. 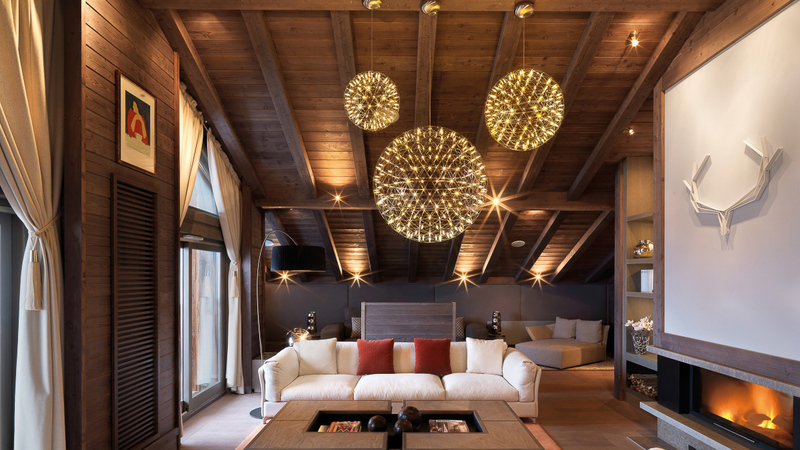 Six Senses Residences Courchevel takes traditional mountain living to new heights with meticulously designed interiors that combine contemporary accents with traditional Savoryard sensibility. The exterior is reminiscent of a French chalet while the residences’ interiors are designed in a light neutral palate using unique and crafted materials with fine porcelain tiles, flamed grey and beige stone, chestnut leathers, and natural timber to imbue comfort. 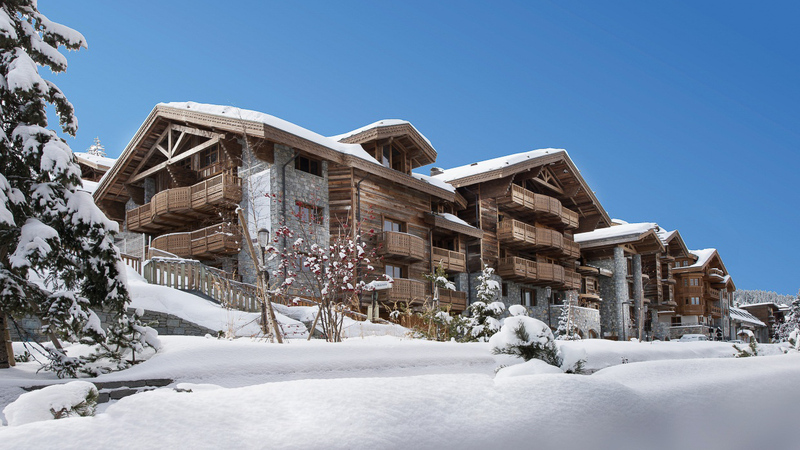 Each boasts a balcony offering picturesque views overlooking the snow-capped mountains or the intimate courtyard. Comprised of 50 apartments plus a chalet, the Residences range from two-to four-bedrooms laid out in five blocks. The three-bedroom Prestige Family Apartment is an ideal option for families desiring optimal space and gorgeous views. Small pets are allowed in the Residences. 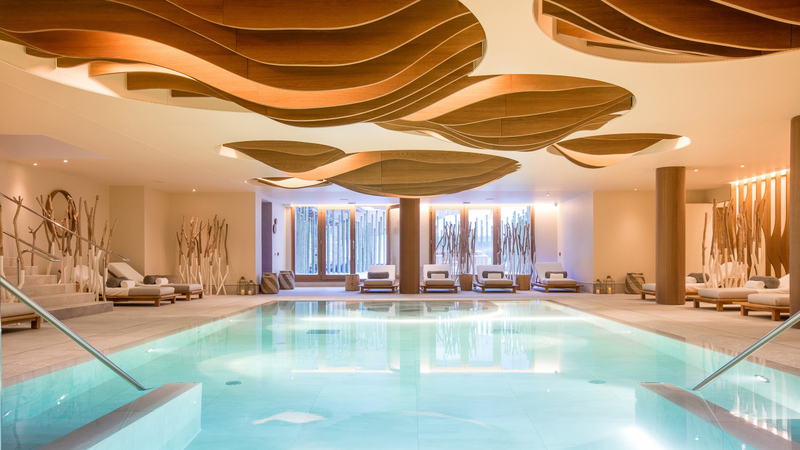 Located in the heart of Courchevel 1850, the Six Senses Residences Courchevel is a five-minute walk from the ski lodge at La Croisette and well-appointed to explore the village. 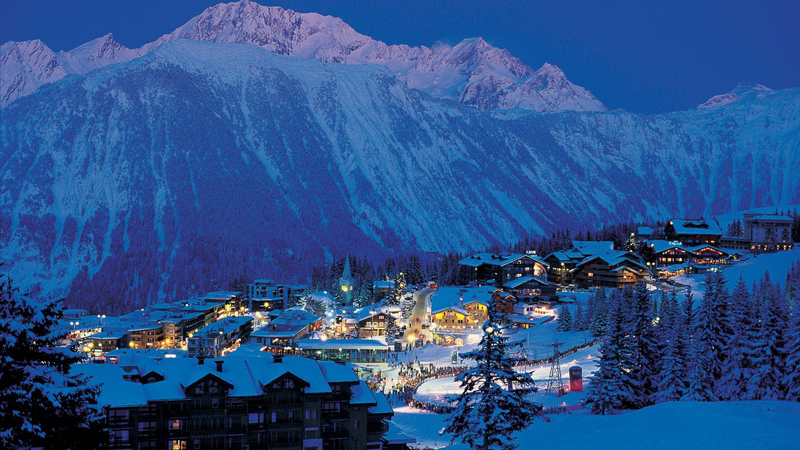 The closest airport is the Courchevel Airport (CVF) which is approximately 1.3 miles away. Guests can also arrive by the Eurostar or TGV at the Moutiers Train Station 30-minutes away. A helicopter transfer is also available to Courchevel heliport from Chambery Airport, Lyon-Saint Exupery Airport or the Geneva Airport.